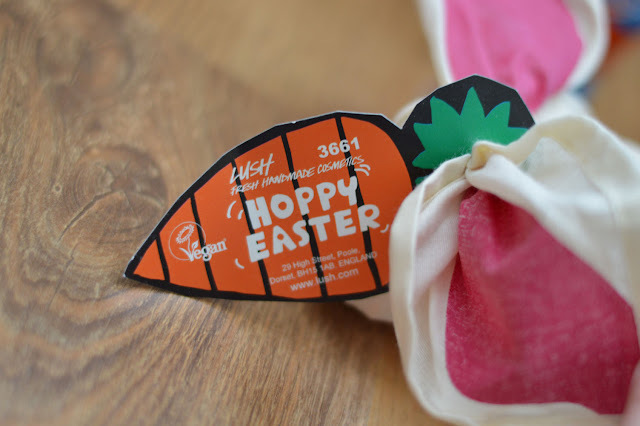 I wanted to share a cute little last minute Easter Treat with you, have you seen the super sweet Easter gifts from Lush? The re-useable knot wrap is super cute, love the bunny ears. 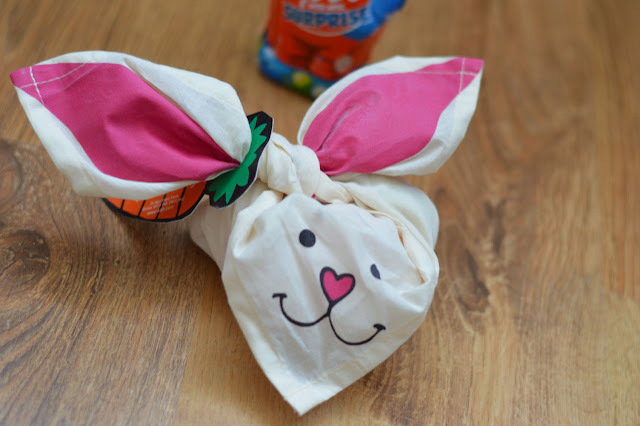 I intend on using my bunny wrap to store my Lush goodies in future. A great way of keeping them safe and dry. The Hoppy Easter bunny is back and full of Easter love and contains two pampering treats inside, the Fluffy Egg (inedible) of course folks! And of course this year sees the return of the popular Carrot Bubble Bar. 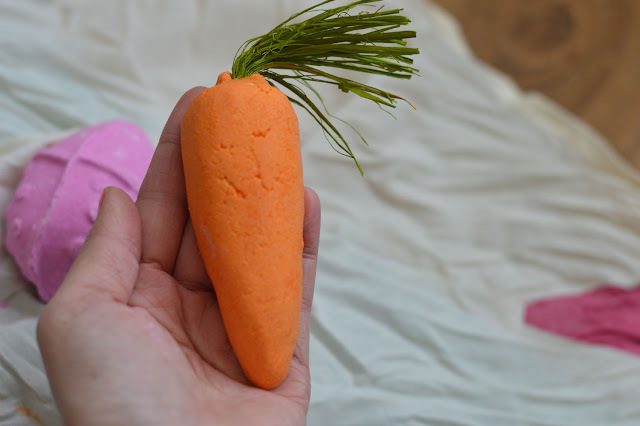 A re-useable bubble bar, just swish the carrot under running water by it's grassy hair and soon it will be full of sparkling bubbles. I'm really liking the Lush re-useable bubble bars, my most favourite one has to be Bubblebeard. This is sadly not available anymore, boo hoo! Fingers and toes firmly crossed it will make a come back for the festive Christmas period. 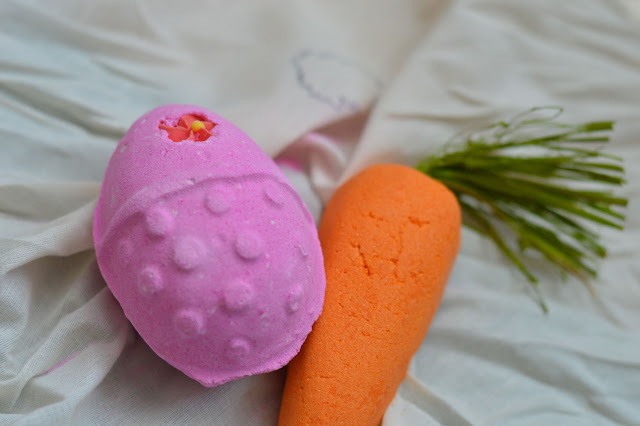 Have you seen the Easter Treats they have from Lush? What do you think of the re-useable bubble bars? 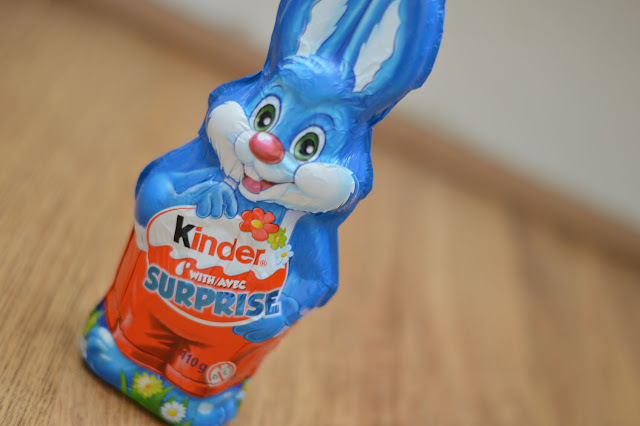 Have a happy chocolatey Easter from myself and Mr. Blue Kinder Bunny!